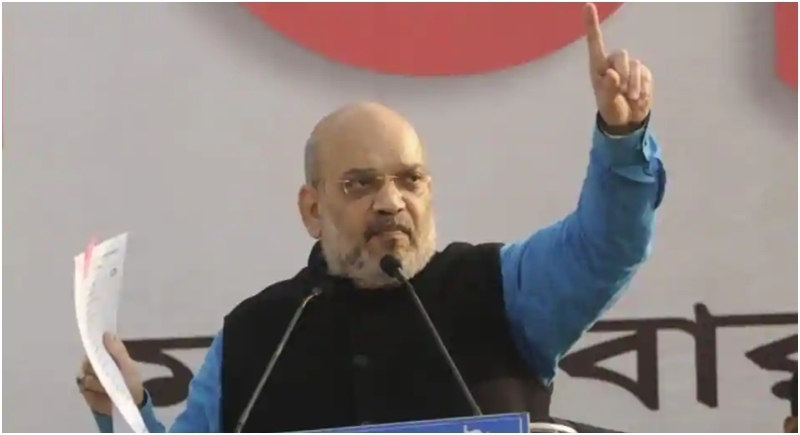 Malda, January 22: Snapping the opposition for their misconducts and assuring people of Bengal to free them from the tyranny rule of Trinamool Congress; Bharatiya Janata Party Chief Amit Shah against all odds announced the bugle of upcoming Lok Sabha elections in Malda, West Bengal. Promising people to gift them a state of democratic rule, Amit Shah left no stones unturned to uproot the undemocratic rule Mamata Banerjee in Bengal. Taking a dig at the Chief Minister Mamata Banerjee, he assered that the 2019 Lok Sabha election in more important for Bengal than for the rest of the country. This election is to determine whether this autocratic TMC government will remain or will be thrown away. Taking a dig at the TMC rule, Shah said that in TMC’s regime, every 5th person in Bengal is living below poverty line. Leaving no stones unturned, Shah unravelled the ugly face of TMC chief as he said that the Bengal govt employees get DA 49% less than their Central govt counterparts. Where has the money gone? He further assured the people that no one will have to pay syndicate tax after BJP rule. BJP Chief Amit Shah acclaimed that the people of Bengal will make a right choice by choosing BJP over TMC and the 2019 elections will decide the future of India and also the people of Bengal. Taking a jibe at the recent Gathbandhan rally organised by Mamata Banerjee, Amit Shah said, “What is this gathbandhan? It’s about power and self-interest. PM Modi has offered 129 welfare schemes for the people of the country. But Mamata is not allowing the benefits to reach you.” This comes after the West Bengal Chief Minister stated that they would not allow Ayushmaan Bharat healthcare scheme in her state. The rallies came after the Mamata Banerjee government refused permission for BJP’s “rath yatra”, citing law and order concerns. The party had contested the denial of permission in the courts and fought it up to the Supreme Court, but failed to get any relief. The apex court had, however, allowed the BJP to hold public meetings.